It all started over beer and banter at the local Macarthur pub. Roger Moodie, a former Melbournian that moved to Macarthur, was discussing how Macarthur is the centre of South West Victoria, given all roads lead into the town, yet it’s largely undiscovered and unheard off. A brainstorm over a few more beers about how we could take Macarthur to the world ensued and the idea of an annual music festival was born! For us, this festival is very special as it’s an opportunity for us to give back to our lovely community, so we were very happy to open our property for the wonderful initiative. 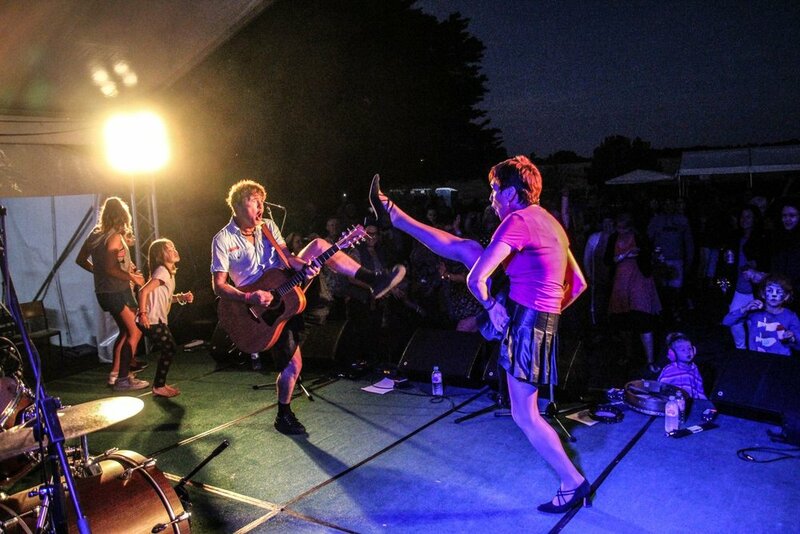 Music Festivals, take a lot of work to get off the ground. Can you please give us a snapshot of what’s involved every year to bring Music in the Vines to life? You can say that again! A committee of ten volunteers dedicate close to 400 hours every year to execute the community-run festival. We wouldn’t be able to run this festival without the generous support of sponsors, so the festival planning starts with us thanking our current sponsors and then approaching potential sponsors and applying for grants to assist with funding of the event. Once we’ve secured funding we move on to the fun part where we get to research and source local and national talent to perform at our festival! Once the line-up is secured we onboard great local vendors that showcase what the Macarthur area has on offer. Finally, to ensure that everyone has a great and safe day, we focus on organising sound engineers, contractors, first aid services and insurance, we review our event management plan and then the festival is ready to go! What impact has Music in the Vines had on the local community? In the last three years, Music in the Vines has almost doubled in the number of patrons attending the event from 320 people to 628 people. We estimate that the local economy was boosted by $190 000 to $210 000 as a direct result of Music in the Vines taking place in 2016-2018. We’ve also made financial donations to the local progress association, Men’s Shed, Hawkesdale and District family service centre and the Southwest Health Care Centre. The event brings the community together, it allows small groups to fundraise and it enables people to access an affordable event in the area, which has a lower socio-economic rating. It brings visitors into the town and helps put the small town of Macarthur on the map! How do you select the musicians and who is on the line-up this year? Musicians are selected through an online process, where they apply through our website. The committee assesses each application and selects six to seven artists based on genre, talent and their audience. The committee also selects four to six emerging artists. We’re always focused on listening to the suggestions and insights we glean from our feedback forms, so we can produce an event and feature artists that appeal to our patrons. We always end up with a great diversity of artists that enable variety across musical genre and styles. This year we are very excited to be featuring Woody Pitney, The Still Trees, Zeon, Marica Howard Band, Tanya George, Cooper Lower Music, ALAN and TRACE, Flynn Gurry music and an amazing selection of emerging talent! What is your favourite anecdote from festivals gone by? During the second year of the festival, the committee was going through the artist line-up selection phase and Roger, one of the committee members, was a huge fan of one of the applicants, Jade Alice; a singer-song writer from Melbourne. He was so adamant that we get her to the festival, and he shared that the day of the festival would be his birthday so having Jade Alice sing at the festival would be a great present! Now, it’s become a tradition, every year we let Roger make an artist selection for his birthday present! 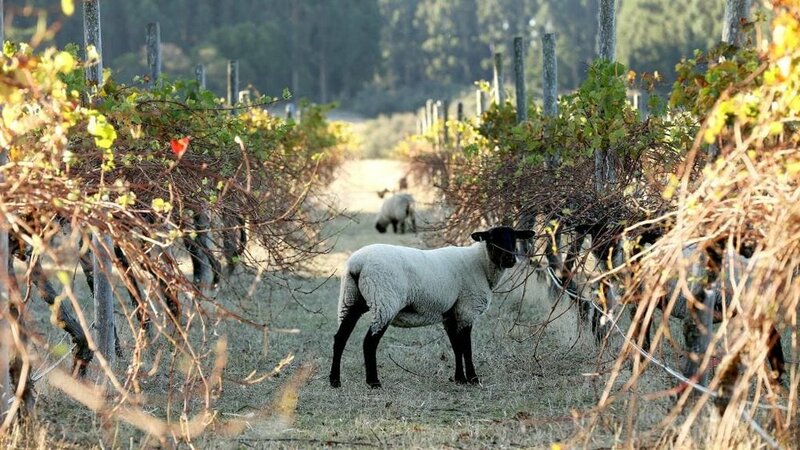 Can you please share your early life trajectory and how you came to be operating a vineyard in regional Victoria? 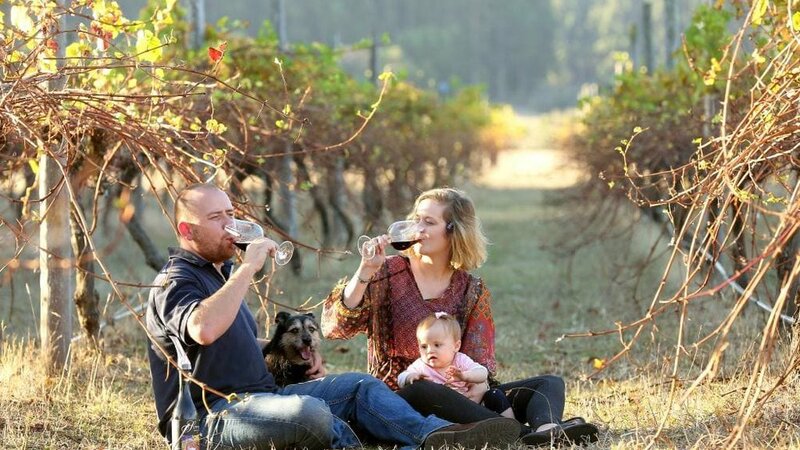 After moving from South Africa for my research position, we were looking for a small piece of land close to work and ended up falling in love with 18 acres that happened to have a small vineyard. From the start my wife saw it as a great business opportunity, especially given it’s located next to the Budj Bim National Park. We developed it and built it up on weekends and last year we launched the business full-time. We also expand into craft beer and recently we’ve launched cider additional to the music festival! Ah yes, the beverages available at the festival are made locally by you and your team at Suffoir Winery, Brewery aren’t they! Can you please run us through the drinks the menu! Yes, they are! We produce a Pinot Noir from our two point five acre single vineyard in both an unoaked and oaked version. We also make a range of craft beer called The Three Alpacas, named after the alpacas on the property. Our fixed range includes a Citra Pale Ale, Indian Pale Ale and Amber Ale. We also play around with seasonal beers such as a Wheat IPA, Porter, Stout, Session Ale and Ginger Beer. This year at Music in the Vines we will launch our off-dry cider made from locally grown apples, which we are really excited about! In keeping with the tradition, the cider label represents animals on our property, in this case we’re featuring our two rescue dogs; a terrier and rottweiler! You straddle two different worlds- one based in science and the other based in the arts as you art direct most of the creative elements of the festival and the winery. How do you manage to do this and what do enjoy about having a foot in both worlds? Jumping into something completely foreign to me not only pushes my own boundaries, but also stimulates a different side to me. In my day job I spend most of my time in front of a computer screen or in meetings, then in the evenings and weekends I can work with my hands. It is such a great reliever of stress to be outside doing something creative. What advice do you have for regional creatives wanting to start their own businesses or stage their own large-scale events? Start now! Give it a go! What do you have to lose? Talk to those that have gone before you, form networks or partnerships and talk to your local council to see where they can help. When we were conceptualising and bringing the event to life for the first time, we consulted people and business with experience in the same space at every step of the journey. Most people are more than happy to help and talk about the pitfalls, the challenges and the rewards. What gives you the most satisfaction about the festival and the farm? Seeing what my own hands have produced and observing the smiles on the faces of our customer’s and patrons when they sample our products, enjoy the music festival or walk into the cellar door. The cellar door does not look like much from the outside but people are usually very surprised when they walk in the cellar door and sample the products! Please share what you like to do to unwind after a long day? For me, it’s all about the outdoors. We love to Braai (which is a South-African word for barbeque), and I like to go fishing, hiking or hunting and to spend time with my family. Given you’re interest in music we’d also love to know who you’re listening to right now! TWEE my favourite South-African band, it’s sung in Afrikaans! What does the future look like for Music in the Vines and other initiatives of Suffoir Winery, Brewery and cellar door? This year we’ll be premiering our Angry Dog cider at the cellar door and we’ll continue to run and grow Music in the Vines. We aspire to grow Music in the Vines to the point that it becomes self-sustainable over the next two years, so we’re keen for it to reach more people and to grow the attendance. We’ll also continuously evolve the festival structure and line-up based on the suggestions of our patrons and we’re also keen to explore the area of distilling! Pieter has generously gifted Rural Room, two double passes for the festival! 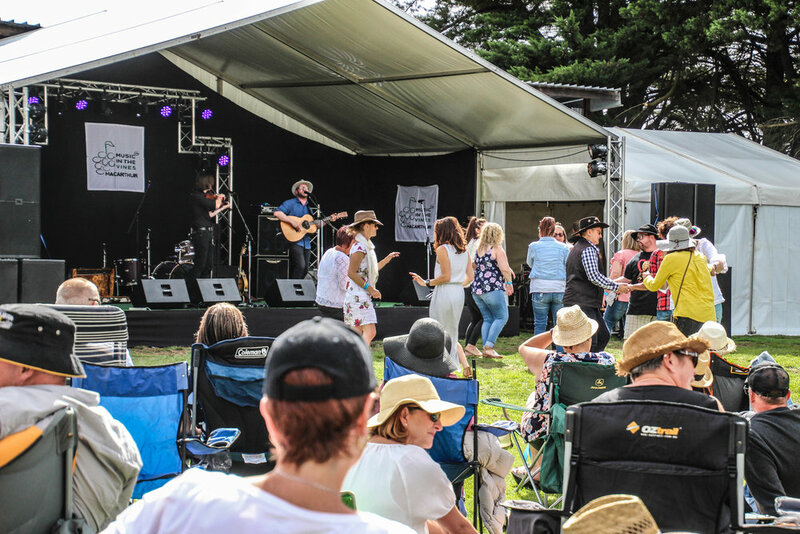 For your chance to win one double pass please share why you think you should win tickets to Music in the Vines 2019! Please post your response (no more than 20 words) in the comments section on Facebook or Instagram, or direct message us. Entries close on Friday, February 8 at 5PM EST and winners will be announced on February 11. *Tickets are non-refundable and cannot be exchanged for money. The prize includes the tickets only, flights and accommodation are not included.